"Hi! 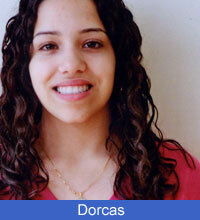 My name is Dorcas and I'm a junior in high school. My family is from Puerto Rico, but I was born in the United States. Right now I live with my uncle. He is a correctional officer. Therefore, I have always been intrigued with the law. Ever since I can remember I knew that I wanted to be a lawyer and was determined to go into corporate law. However, when I became a little older I realized that it would take a lot of studying. That is when I decided that I would go an easier route. I started my search for that perfect job, where I wouldn't have to work so hard. Needless to say, I drifted for awhile. When I started logging onto iCouldBe.org I looked under all types of law related fields: police officer, legal secretary, etc. Eventually, I saw a couple of [mentor] profiles that seemed interesting to me. They were both lawyers. I e-mailed them, introducing myself, and started asking them if they like their careers as lawyers. I received real positive responses within days. I started e-mailing two of them on a regular basis and I was always receiving good replies. We had conversations about their work environments, salary, how they got into the field, what do they like most about being a lawyer and more. Truthfully, I'm learning so much at this internship, even though it's not what really gets me excited about the world of law. Sometimes I forget this and begin to wonder if [the law] is the right path. When this happens, my mentor always sends me a positive word and shares something truly exciting about her day with me. Therefore, I don't forget that there are a lot of different opportunities [as a lawyer] for me to discover. Even though I don't know yet which [area in law] I'm reaching for, I do know which ones I'm not. Thanks to my mentors and iCouldBe.org I feel much better prepared to face the challenges of law school and everything beyond!" 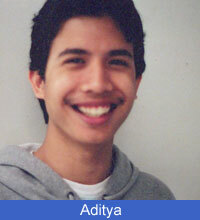 "My name is Aditya and I am 17 years old. I have learned a lot from my mentors at iCouldBe.org. Honestly, I was skeptical at first. You see, everything was all worked out in my mind. I already knew that I wanted to be a recording artist. The plan was to finish high school and then go directly into the entertainment business. When I first signed onto iCouldBe.org I didn't think that I would find anyone to talk to, but within a couple of weeks I was communicating with someone in the entertainment business. The more I invested into iCouldBe.org the more I got out of it. I could hardly believe that there was someone in my field of interests willing to give me so much helpful information. The opportunity to talk to someone who is working in the entertainment business has given me a better idea of what it takes to be successful in it. I always thought that music was all about being famous. Now I know that fame is not necessarily the measure for success. I learned that the music business becomes your life, not because of all the V.I.P parties, but because of the hard work. I've also learned that if I truly start to consider my life in the future as a recording artist, then I also need to consider my future options by attending college. These are just a few of the things that I have learned through my conversations with my mentor on the iCouldBe.org website. Speaking to adults and hearing their stories has allowed me to consider my future and how college fits into it. My mentor and I now speak about some of the universities I might be interested in. I see myself being less hopeful and more proactive. It's like got some of the directions on how to go down the road I have chosen. I feel I have gotten a lot out of iCouldBe.org. Who knows, maybe ten years from now, I'll be a mentor for iCouldBe.org!" "I'm Marilyn and I am 16 years old. I am the first person from my family to be born in the United States. Now, I will also be the first to attend college. I have had a narrow field of exposure to careers in my life because the women in my family have all been certified home attendants. I saw myself following along in those footsteps. Logging onto iCouldBe.org changed the direction of my future! When I began to log onto iCouldBe.org I was not really able to connect with mentors in the field of medical technology. Don't get me wrong, I found someone to communicate with, but for some reason I found that I didn't have a lot to say. Then, I decided to do a [mentor] search and upon completing the [interest survey] I was surprised to find that one of my matches was a stockbroker. Out of curiosity and my love for math I e-mailed this person asking about the work environment. Before long, I got the response I was waiting for. I immediately e-mailed her more questions like, 'How does your personality fit into your work', 'What does a work week look like', 'Is it an exciting or stressful job', 'Do you love your work'. . . The dialogue just went on and on. I began to daydream about the world of a stockbroker and I was playing the main character. I shared my excitement with my family. They are supportive, but it is hard for them to understand or to give me practical guidance. This is where the relationship with my mentor has grown to be important. Without her advice I would not have the focus I have in school now. I know now that in order to entertain the idea of becoming a stockbroker I must do well in high school to attend a university to study finance. The encouragement I receive from the mentor helps me to stay motivated and to keep working towards my goal, which is the focus of our conversations. When I begin to think about all the information I have received I almost can't believe my luck. My mentor and I continue to communicate on a regular basis. Right now we are researching colleges and college tests. There is no doubt that iCouldBe.org changed my life!" 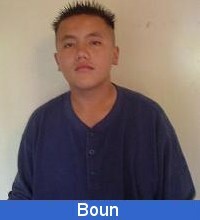 "My name is Boun and I'm from San Diego, CA. I was born on November 4, 1989 in San Diego. My ethnicity is Hmong; we are from Laos and Thailand. When my parents first came to the United States, it was very hard for them to come to America because they don't know English or anything. I'm in the 11th grade now and almost graduated from high school. I am planning to go to college and become a computer technician. I will try my hardest to become one of the best computer technicians in the world. I am planning to go to SDSU, San Diego State University. That is a very great school to study computers. iCouldBe.org is a very helpful program and I want to say thank you to all the staff and mentor. I have learned a lot from iCouldBe.org, it teaches me about the business environment and how to respect people. iCouldBe.org is a very fun and amazing website to be on." "Hi my name is Linh...I was born in California. I am Lao and Viet. I speak Lao, Viet, and English. I have 5 sisters, 2 brothers, 2 grandma[s], 1 grandpa, and my parents. If I could do five things before I pass to another lifetime it would be travel all over the world, have a lovely family, be successful so my future kids could live without me happily, marry someone who will love me and hope my relatives live happily when I’m gone. My priorities before was my education, my family, and my future lifestyle. [Now], my three priorities in life are my husband, my kids, and my education." Linh met E*TRADE mentor Trainingguru (Mike D. from Georgia) through iCouldBe.org. She began to speak personally to Mike about her three priorities and why they were in that order. Mike responded the next day, telling Linh about his priorities at her age (going to medical school, earning money, and having a girlfriend.) Eventually, Linh and Mike conversed frequently on iCouldBe.org, and Mike asked her to create a plan to deal with marriage, starting a family, and going to college at her age, since it was at the forefront of her mind. The same day, Mentee Linh responded to Mentor Trainingguru with her plan. They have continued to write each other throughout the school year. 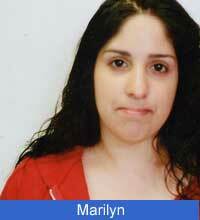 Mentor Trainingguru continually responds quickly to Linh’s posts, thus reinforcing the mentoring experience for Linh. Eventually, Linh’s participation had become one of iCouldBe.org/E*TRADE top usage.